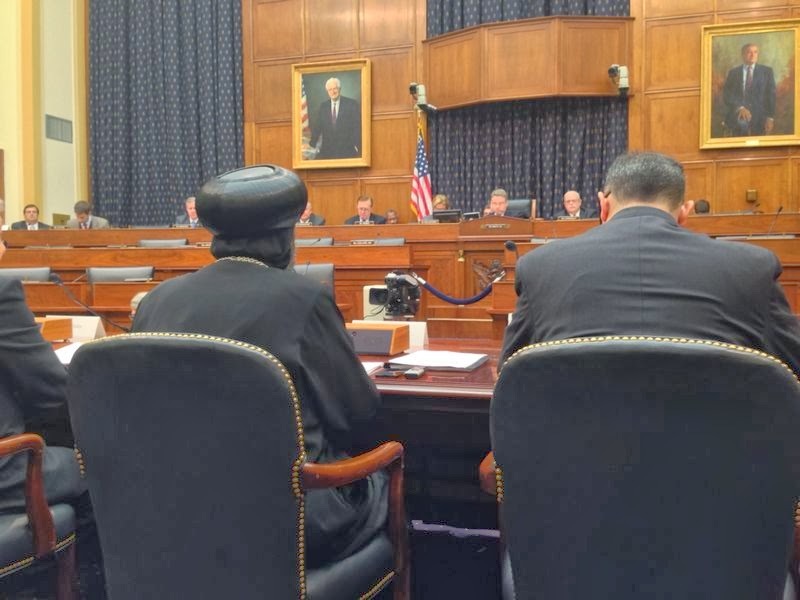 Addressing the congressional panel with four other witnesses, during a Joint Subcommittee Hearing comprised of the Subcommittee on Africa, Global Health, Global Human Rights, and International Organisations, and the Subcommittee on the Middle East and North Africa, Bishop Angaelos underlined the nature and unprecedented level of violence and attacks against minority groups in Egypt pre and post 2011 uprising. Highlighting a number of incidents occurring in recent months and years, he spoke of the increased incitement that led to the burning, demolition, and attacks on scores of churches, the kidnapping of Christian girls, restrictions on the choice or expression of faith, and the increasing violent attacks resulting in loss of life, and the displacement and destruction of property over decades. “While we do not seek to place blame on the current leadership, it is evident that over the past decades there has been little done to ensure that these violent acts do not reoccur. Since the uprising, and due to a decrease in law and order resulting from the turbulent period under the rule of Mr Mohammed Morsi, there have been increasing challenges facing Christian and minority groups in Egypt. Having said that, and in looking to the future, we continue to support the current process of rebuilding Egypt with a new constitution and ethos, and support the whole community as it calls for change. 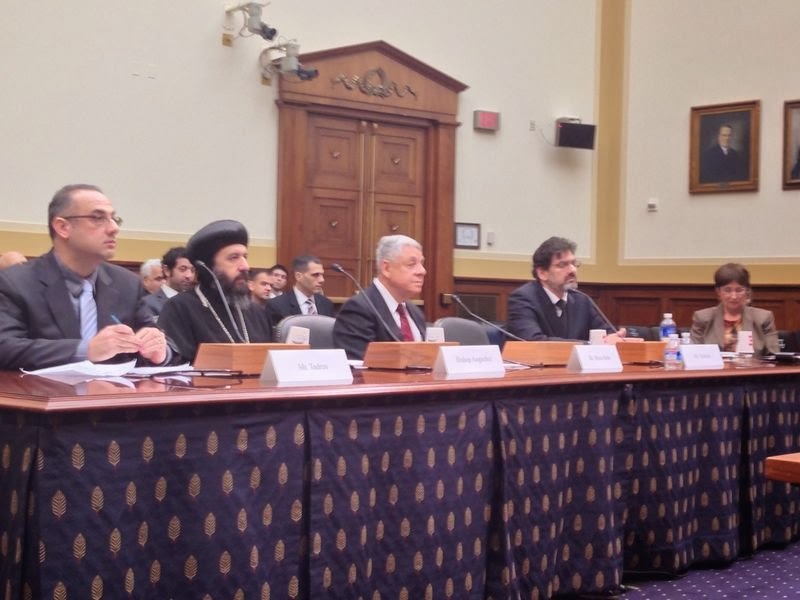 0 Comment(s) to the "Bishop Angaelos testified at a Congressional Hearing on ‘Human Rights Abuses in Egypt’ in Washington DC on Human Rights Day"